Supporting HeartSafe Public & Private Access Defibrillator (PAD) Programs. Community. Zone. Workplace. School/Campus. Hospital. Your HeartSafe Program Deserves our FREE Designation! The HeartSafe Foundation has been established to help further the cause of setting up proper HeartSafe programs that improve Sudden Cardiac Arrest (SCA) survival rates and prevent SCA-related deaths. Sudden cardiac arrest (SCA) is a leading cause of death in the United States and world. 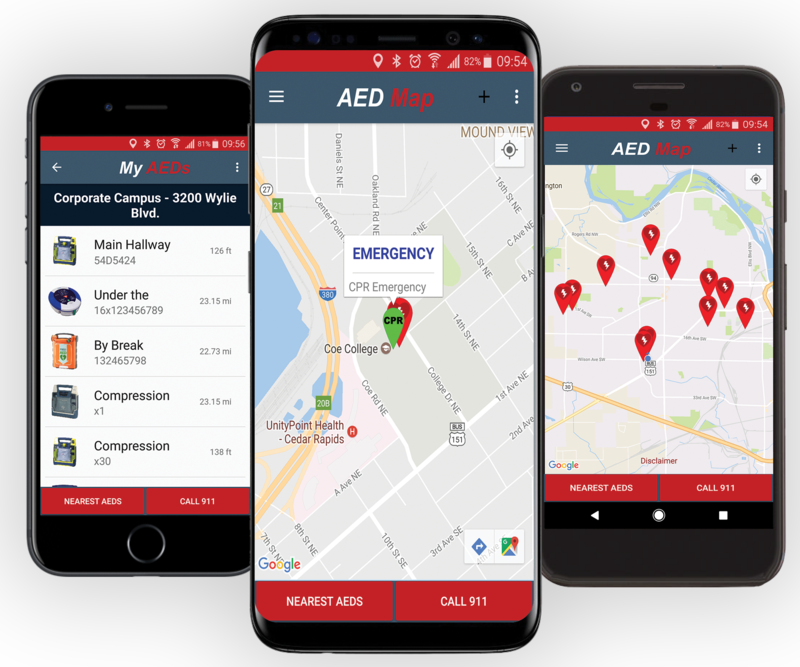 Almost 400,000 people annually in the US will suffer out-of-hospital cardiac arrest (OHCA) and most victims die unless HeartSafe program initiatives are implemented and followed. SCA affects any age, any gender and any race. Unlike many other medical conditions, survival from SCA depends on immediate intervention by bystanders or designated first responders on scene; immediately performing at least hands only Cardiopulmonary Resuscitation (CPR) on the affected person and using an Automated External Defibrillator (AED) as soon as possible. Once a proper HeartSafe program is established, survival rates sky rocket and many lives are saved that previously would have been lost. HeartSafe program initiatives are very simple and effective and they were initially introduced and criteria established by the American Heart Association (AHA). HeartSafe programs support the “cardiac chain of survival” reinforced by the American Heart Association. HeartSafe programs encourage communities, workplaces, public entities, schools, healthcare organizations and professionals, as well as citizens, to all work together and play their part in preventing SCA-related deaths. The HeartSafe Foundation evaluation & review system uses established best practice standards and provides a common ground for rating HeartSafe programs, globally. The goal of The HeartSafe Foundation is to allow for flexibility in the HeartSafe program to meet the local needs of the applicant, region or area; yet ensure core focus on important categories known to improve SCA survival rates. DOWNLOAD THE FREE APP. SAVE MORE LIVES.